For the first time since 1886, the restoration work is to a large extent on the castle of Neuschwanstein. The visitor traffic is not affected, the tourist attraction remains open. 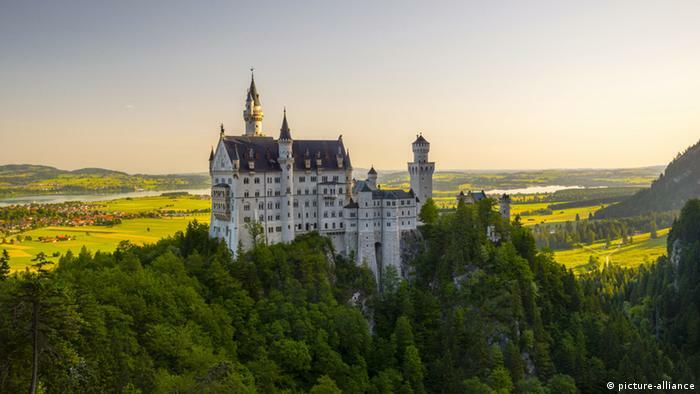 Each year, approximately 1.5 million visitors visit the castle of Neuschwanstein. If, on average, more than 6000 people are pushing on a daily basis by the premises, does not remain without consequences. The strong rush of visitors is one reason for the more than 20-million-Euro renovation. The structure of the building and the art works are damaged. In addition, the alpine climate and the light burden of the valuable furniture and textiles. For the first time since 1886, the restoration work will be carried out in such a large scale. They include unique works of art as well as Exhibition and function space, and the former king’s apartment in the gate. A total of 2.329 positions were listed, including 93 rooms 184-wall and ceiling versions, 65 paintings, 355 furniture, 228 textiles and leather objects. To 322 craft objects, 315 wood components, 196 natural and artificial stone objects, as well as 664 Windows and external doors would still. Are also planned the installation of a ventilation system and additional LED lamps. The Work will be implemented while the plant Tour. A complete closure of the popular tourist attraction, it was not necessary. However, with limited partial closures of individual rooms. The 1869-built and never-completed “New castle” was Ludwig II, the monument of the culture and kingship of the middle ages, equipped with the latest technology. The main rooms of the castle are adorned with mostly scenes from the Germanic and Nordic sagas, which had also interpreted the composer Richard Wagner for his operas. Neuschwanstein castle is one of the most visited sights in Germany – and also one of the most popular Instagram-the-Scenes of the country.